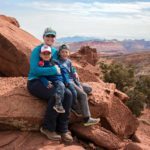 This hike is specific to the stretch of the Bonneville Shoreline Trail from south Sandy to the Bear Canyon Suspension Bridge in Draper. 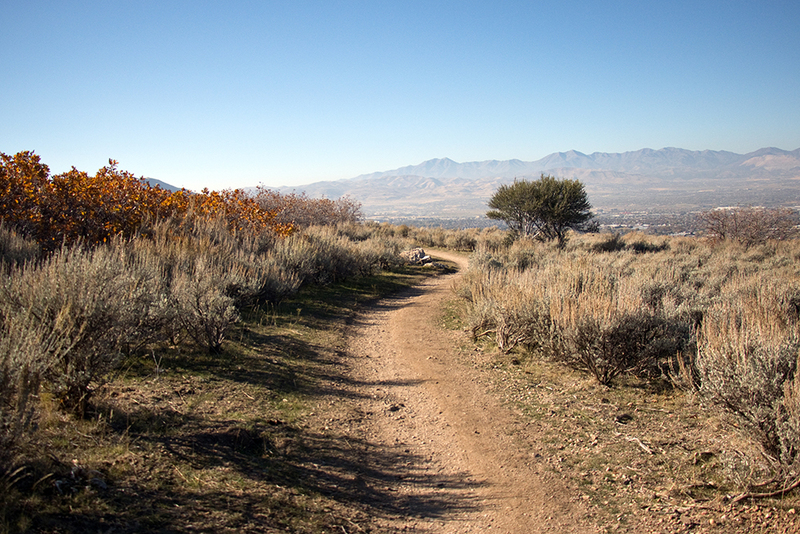 The BST is a long trail that can be entered and exited from many places in Utah. From Hidden Valley Park in Sandy, you can reach the BST from a few spots along the paved path. From there you just head south and hike as far as you’d like. The trail is a single-track trail that skirts the edge of the mountains; dipping into and out of small canyons. It’s a good mix of climbing and descending. It’s totally doable for preschoolers and up, but new walkers should be worn in baby carriers. Over a mile in, you’ll see a fork in the trail where it meets back up with itself. 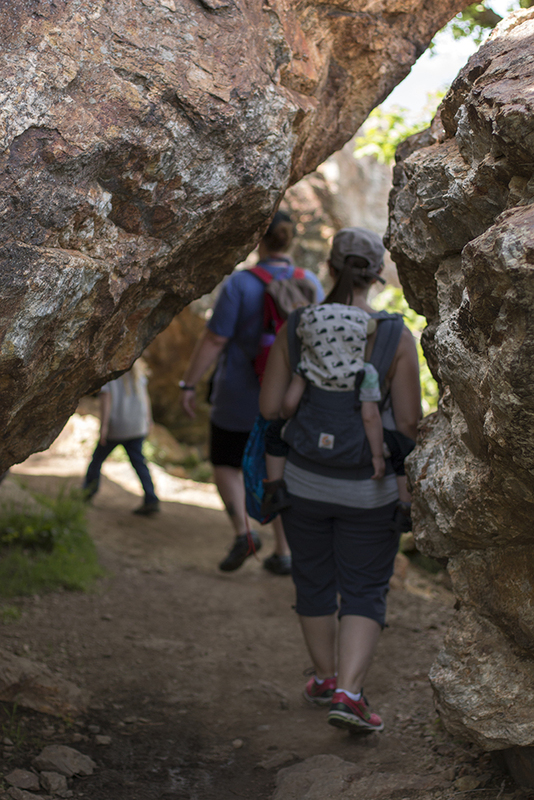 If you head left, you’ll get to walk thru some massive boulders that created a cave. Veering to the right at the fork avoids these boulders. You will reach the Bear Canyon Suspension Bridge after about a mile and a half. There is space there to stop for a snack and enjoy the view. 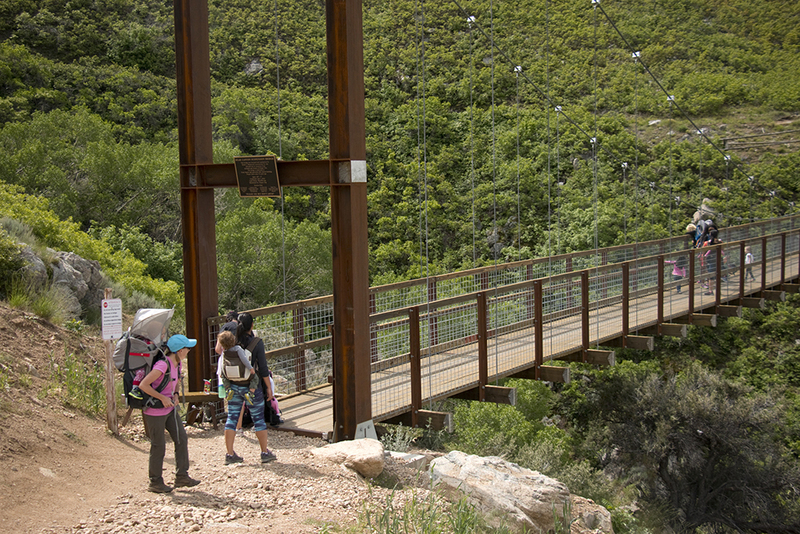 The bridge was built to keep hikers out of upper Bear Canyon, which is a watershed canyon. The trail into the canyon is still open, but the bridge keeps the number of hikers into the canyon at a minimum. 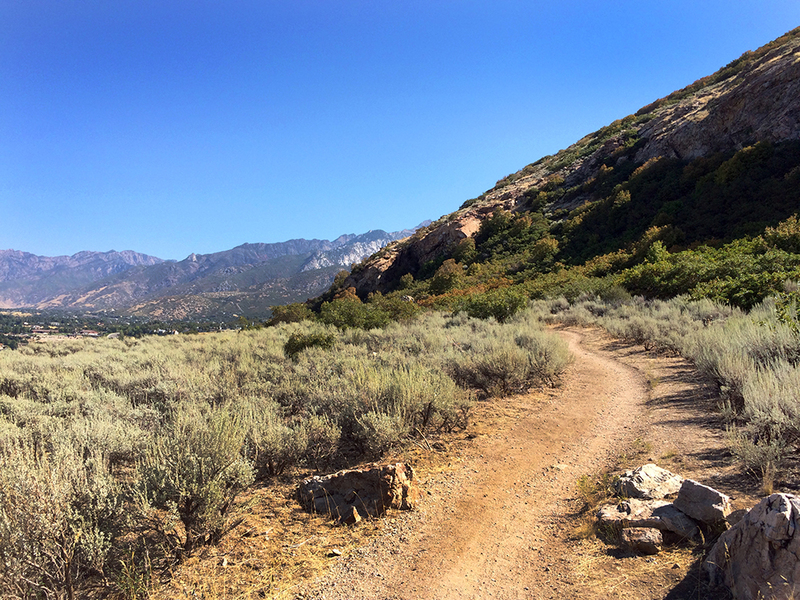 If you choose to hike into Bear Canyon, it adds a little over a quarter mile to your hike. We usually turn around at the suspension bridge and head back to Hidden Valley Park. From there we let our kids play on the playground before heading home. 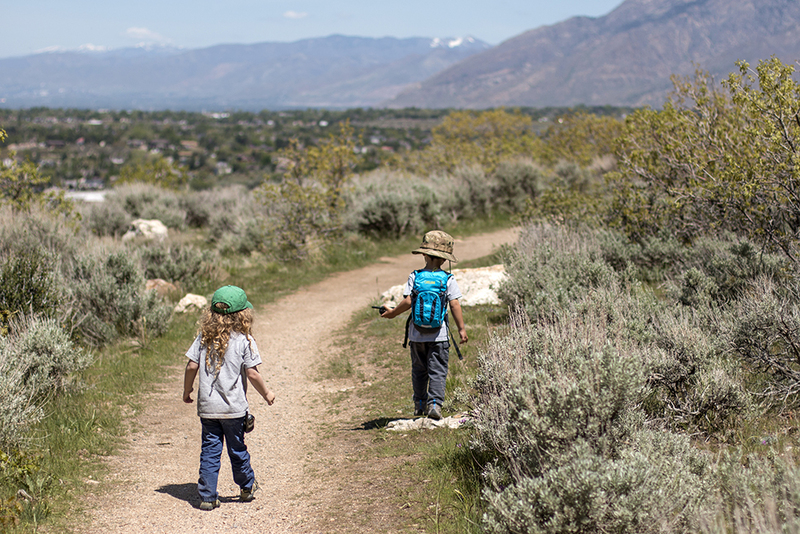 The promise of the playground has often helped motivate little hikers to keep moving. Water fountains and flush toilets are open in the summer at Hidden Valley Park. 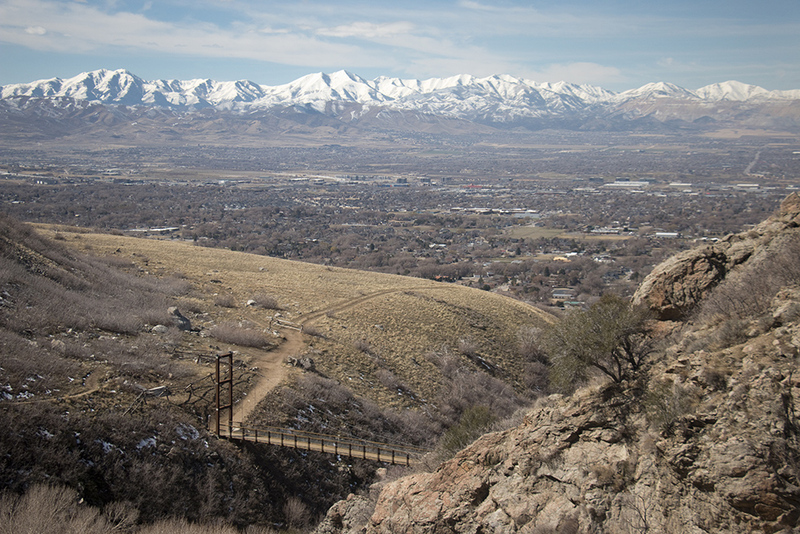 The trail offers panoramic views of the southern Salt Lake Valley. 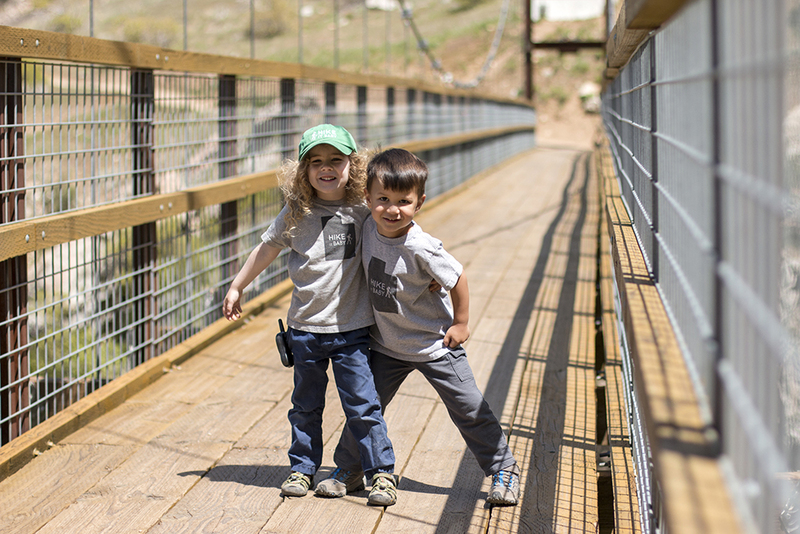 The Bear Canyon Suspension Bridge is a fun landmark to explore. The trail has a somewhat steep dropoff at some parts. In one short section, the gravel can be slippery. The trail is shared with mountain bikers. By law they are supposed to yield to hikers, but still use caution. The City of Draper prohibits hiking on the BST right after a storm when the trail is muddy. It contributes to trail erosion and damage. The restrooms and water fountains at Hidden Valley Park are only open from about Memorial Day til Labor Day.